Shrinkage cracks are very common in new buildings. 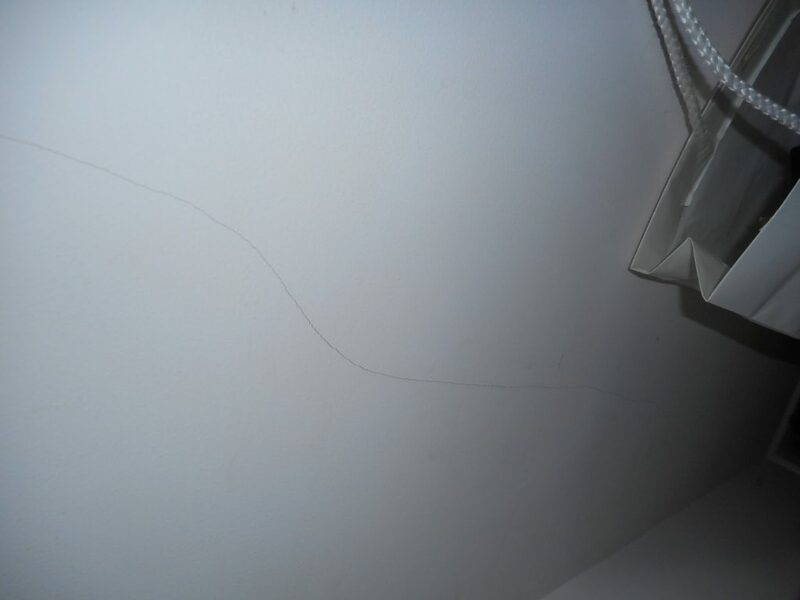 They are caused when the new plaster expands when it fully dries out, leaving small hairline cracks in the plaster. These will not be detrimental to the fabric of the building and they are cheap to repair. This photo was taken during a Full Building Survey in Redhill, Surrey. At Brian Gale we have over 25 years’ experience providing friendly and professional surveying services for clients across Surrey, Sussex, London and further afield. If you need a full building survey or require another service, do not hesitate to get in touch with us today and speak to a member of our expert team.